When you come to think of it, gardening is a strange hobby. What makes people want to spend hours of their time, let alone their hard-earned cash, toiling away in the hope that something might grow? Why get wet or too cold or too hot and far too tired just to watch your favoured plant being ravaged by pests and diseases or, just when you think all is going swimmingly, to see it being struck down by an unforeseen frost? On bad days it hardly seems worthwhile. Of course, the answer is because gardeners are eternal optimists. Just because something has failed this time means, surely, that it will be a great success the next. And, generally speaking, the good results far outnumber the bad. What can give more joy than eating, say, a juicy, full-of-flavour pear that you have nurtured knowing that it is free from pollutants and raised by your own hand? Or, plunging your snout into the centre of a rose bush knowing that it will come out, as the saying goes, smelling of roses? If all of this sounds slightly odd to a non-gardener, then stranger still must be the thought that many professional gardeners never see the end results of their labour. They do a task and move onto another garden, often never to return. As a member of this strange breed a question I often get asked is what motivates me. The answer is always the same: it is the thought of success, of planting for the future and the sheer pleasure in working alongside nature. And, of course, some gardens we return to again and again. And so it is with my ‘oldest’ garden: one I have worked in for twenty years, first as Head Gardener and, after I moved miles away to the secret valley, on an occasional basis doing more specialist tasks. 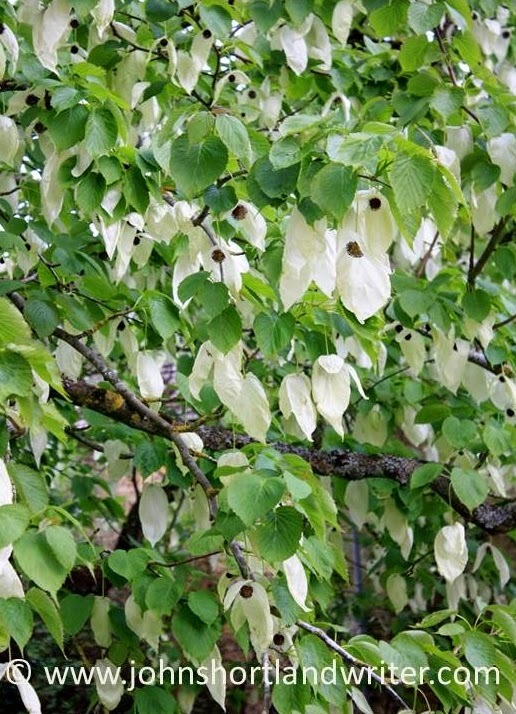 One of the last jobs I carried out was to plant that most celebrated and notorious of ornamental trees Davidia invoulcrata, the Handkerchief Tree, to announce the arrival of the new millennium. Celebrated because of its wonderful flowers resembling a pocket handkerchief; notorious because it can take twenty years before they appear. Davidia originates from China and although first discovered in the mid 1800’s it was not until 1904 that the first one was to be grown in England. If given the right conditions they grow quickly and although they aren’t fussy about soil type they do like a certain degree of shelter – mine is planted on the edge of woodland which gives protection from strong westerly gales. They do not respond well to pruning so it is important to allow it space to grow up to 60 feet in height and 20 feet across. 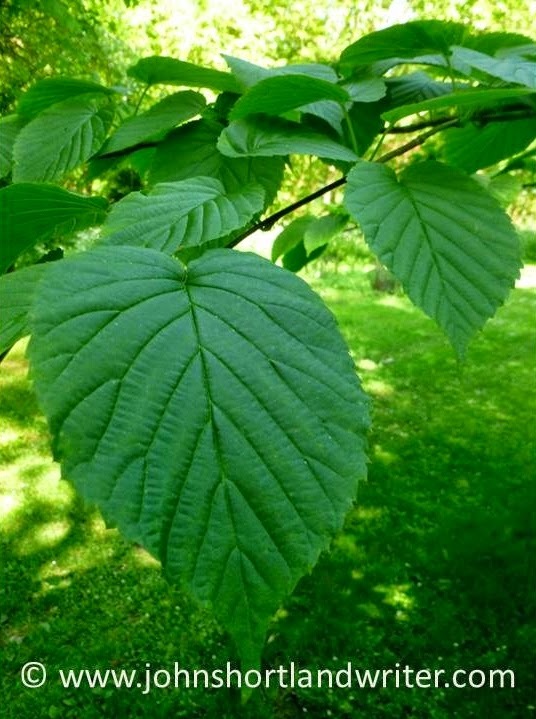 They are attractive in a quiet sort of way even when young for, although they lose their leaves in winter, they are of a pleasing shape and shade of green during the summer months. 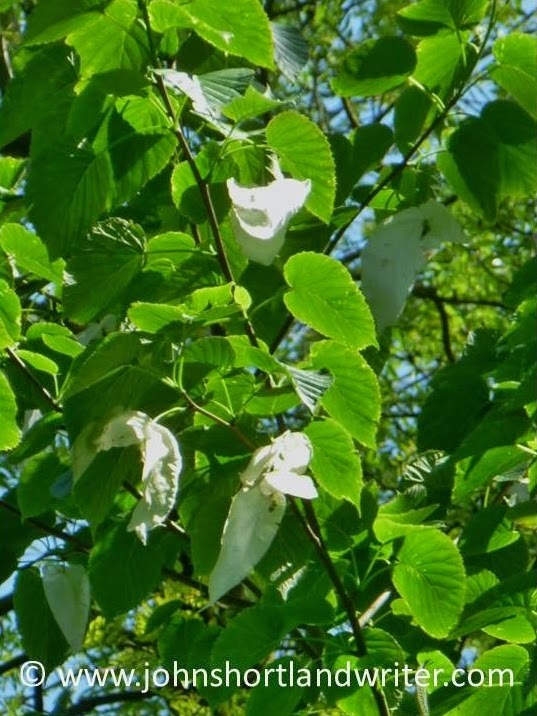 Every May, I have checked the tree to ensure that it is growing well and looking healthy and wondering if I would ever see it in flower – and this year I did. Along its uppermost branches, fluttering in the breeze were fifteen flowers, one for each year of its planting. I stood watching them for several minutes and, as many a gardener will understand, felt quite emotional that I had been instrumental in growing something that will become more spectacular with every year that passes. Could it be that its English name was given not just because of the resemblance to a clothing accessory but because those early growers, seeing them for the first time, reached out for their own handkerchiefs? It is special moments like these that keep gardeners, both amateur and professional, gardening. The flowers of Davidia are, in reality, only the round reddish centre; the white parts are bracts, leaf like structures that are often brightly coloured or in the case of Davidia, white. 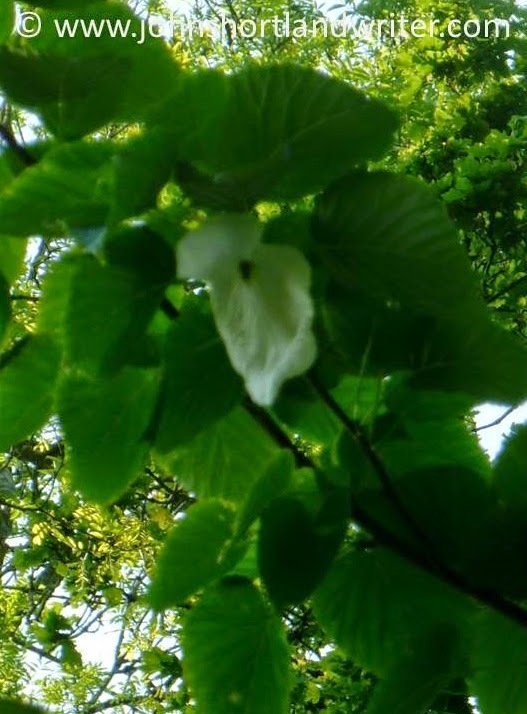 This entry was posted in Davidia involucrata, gardens, Handkerchief Tree, rose by johnshortlandwriter. Bookmark the permalink.